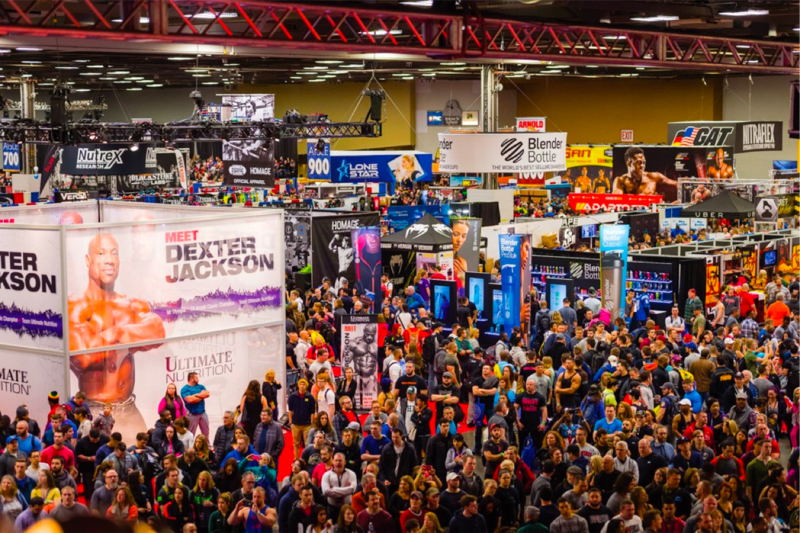 Every year, the Arnold Classic Sports Festival attracts fitness junkies and novices alike to Columbus, Ohio to experience the nation’s largest health and fitness exposition. Beginning in 1989, the Arnold started as a one-day bodybuilding competition and today, it includes every aspect of the fitness world. The 2017 show experienced a total attendance of 200,000 people from all over the US and 80 different countries. The expo features more than 1,000 booths that showcase the latest trends in sports equipment, apparel and nutrition. The Arnold is a very consumer oriented show and is focused on nutrition, apparel, equipment and technology – which allows companies to directly interact with their consumers and build brand awareness. For our other clients, it has been a great show to not only create relationships with new buyers, but partners as well. However, with the vast majority of attendees being consumers, businesses who have more service oriented products may want to focus on setting meetings prior to show open, to reap the full benefits of the show. Exhibit(pro) tip: launch a pre-show marketing campaign through email or social media to drive traffic to your booth, and set up meetings with potential partners. If you are exhibiting, it is important that your booth be designed to accommodate the high amount of traffic on the expo floor, as well as provide a good experience for the attendees. If your goal is to hand out samples or promotional items, make sure there are several points of entry in your booth, and there are several sales members handing out items. The Arnold keeps attracting attendees to the show because of the non-stop competitions and entertainment. The event not only creates a lot of energy during the weekend, but also beyond the expo. The Arnold provides businesses a platform to display their products and promote their services, and fosters an environment that inspires attendees to improve and strive for better. If you are interested in attending the 2018 festival, click here to purchase tickets and find out more information.